The SNL alum releases her memoirs. 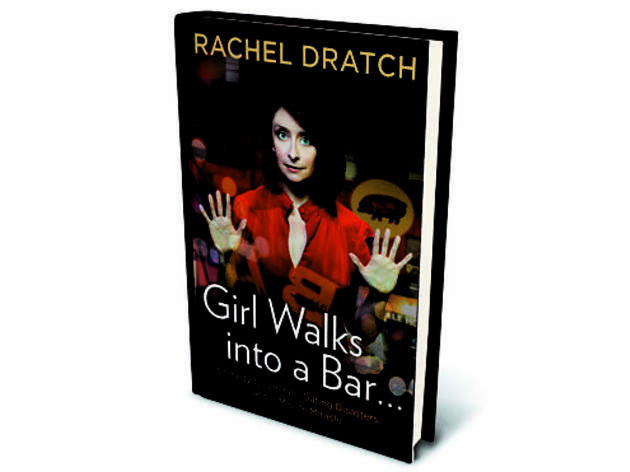 The miracle of life in Girl Walks into a Bar, the new memoir by former Second City, SNL and 30 Rock alum Rachel Dratch, isn’t the unexpected baby boy Dratch gives birth to at age 44. Rather, it’s that Dratch (with the help of co-parent John Wahl) finds her own purpose in life by embracing motherhood over the stereotypical and milquetoast roles being offered by Hollywood. Dratch spoke via telephone about her sometimes touching, sometimes lightweight and always honest new book. You talk about a lot of things in the book. What was the most exciting to put on paper? Is it annoying to get asked those career questions so much? People are usually asking from a nice place so it wasn’t annoying, it was more that I wish I had a better answer. Were there any stories that you hesitated to reveal? I don’t want to bring it up and give it more press, but the whole surprise nature of the pregnancy feels kind of personal still. But if I don’t share it, what’s the big miracle I’m talking about? I’m trusting the public with my personal life, which feels very odd to me. You talk about getting typecast. What would a dream role look like? I do like doing the big crazy sketch stuff, so it’s not like I’m against playing odd ducks, but it’s more about the limiting nature of once you get out of the sketch world. Like I said, I thought I’d always be the wacky friend and that didn’t happen, although I just got cast in a pilot where I am kind of a wacky friend, so I finally bucked it after a number of years I guess. I have a good feeling, but it’s Hollywood so who the hell knows. I’m kind of a side character, but the two leads, one of them is married and has the “perfect” life and the other is single but they’ve been best friends for 20 years. I play the single woman’s friend, who is described as being more of a mess than she is. It’s a funny part so we’ll see. You were originally cast as Jenna on 30 Rock, and given a small recurring role that was dropped after season one. How did it feel to return for two episodes last year? It was nice to go back with some time after the whole replacement thing. I’ve seen those guys a lot, but it was fun to be back on as part of the gang. Sketch comics in Chicago speak with reverence about the Second City revue, Piñata Full of Bees. Describe working on that show. I got to give credit where credit is due and say I was just along for the ride on that one. That was my first show on the Mainstage and I just felt so tentative. I am aware that it’s a legend among improv nerds, but I’m still kind of lucky that I just happened to be in that. A lot of amazing women (Tina Fey, Amy Sedaris) were taking center stage in Chicago comedy at that time. Did you have a sense of that? If you were a woman, it was actually kind of an advantage because if you were halfway decent you’d get a lot more stage time and that made you better. It made you seem more special because you were the only one up there. I was working with great women, but I was working with great guys too. If you were to never act again, what else would you do? The writing thing was really fun. It was nice because you are your own judge of whether you had a good day or bad day. It’s nice to have no middleman. You know what I’m talking about. Girl Walks into A Bar hits stores Thursday 29.